First up, a Lisa Frank-inspired Unicorn cake, by Amanda Oakleaf Cake Designs in Massachusetts. It's pictured above. I mean, seriously! 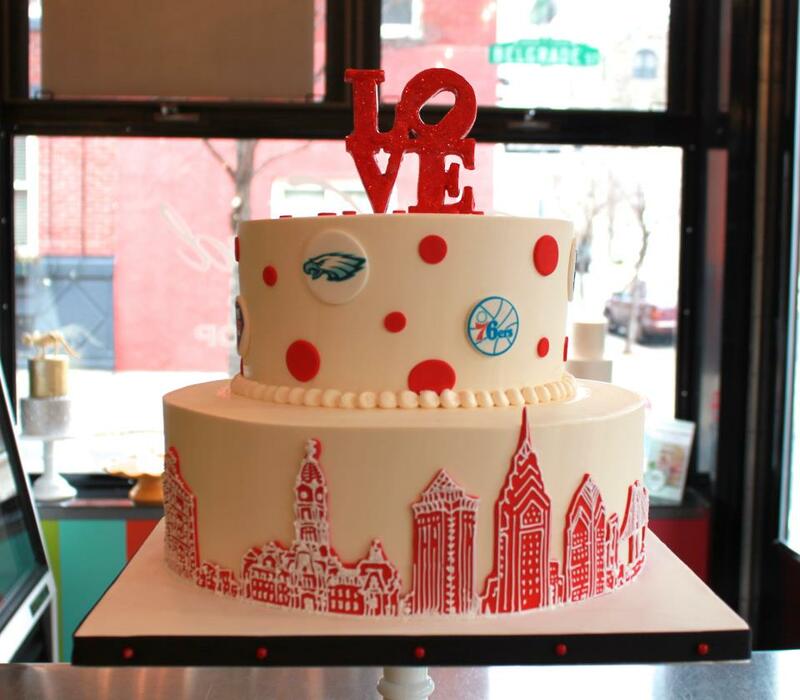 Cake by Whipped BakeshopSecond, I'm in "LOVE" with this Philadelphia-themed cake by Whipped Bakeshop! It was created for a corporate event, but it's anything but cookie-cutter, featuring some of Philadelphia's sweetest landmarks! Thirdly, though this cake isn't new, I came across it again today and it made me smile. 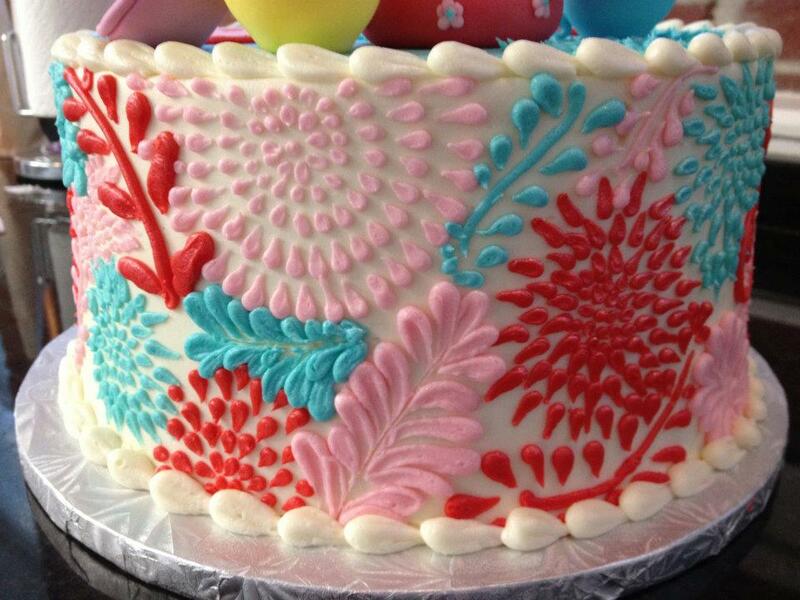 A gorgeous pattern, done by Eat Cake! in Newburyport, Massachusetts. And may I also use this space to congratulate them on their move to an even more fantastic location? The cakes are still to die for, though!